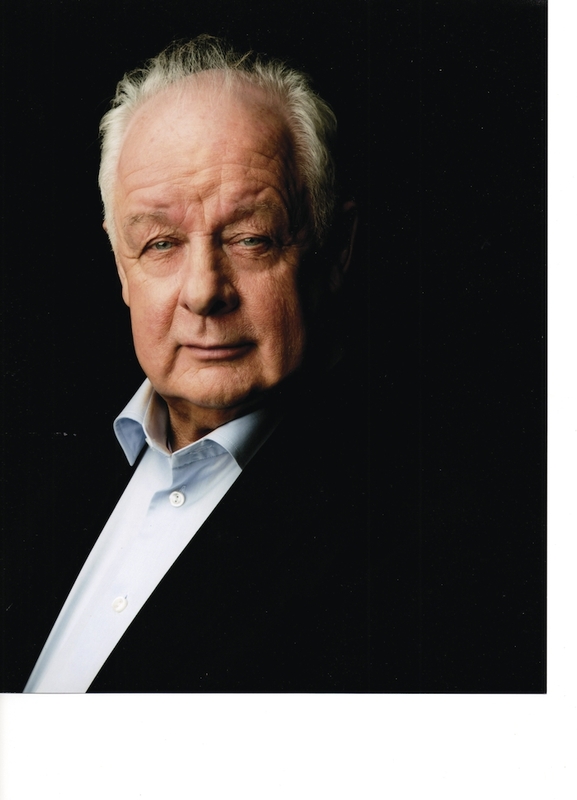 Director Jim Sheridan will be one of the main draws at the Rolling Sun Festival this weekend in Westport. Westport’s Rolling Sun Book Festival takes place this weekend and brings yet more household names to light up mid-November. From media mogul Mark Little to film maker Jim Sheridan and anthologist Niall MacMonagle to author Paul Perry, the line up promises some exceptional events. The Rolling Sun Book Festival began yesterday evening, Thursday, and concludes with a live recording of RTE’s Sunday Miscellany on Sunday, November 19. This intriguing evening includes the premiere of a short film 11th Hour by Jim Sheridan of My Left Foot, In the Name of the Father, and The Field fame, and journalist Lise Hand followed by an interview with this inimitable pair. They will then be joined by Mark Little, Larry Donnelly, and Áine Kerr to discuss the prevalence and impact of fake news across traditional and social media, plus the Donald Trump effect on media. The event continues in the Clew Bay Hotel with music from Coda, a delicious meal, and no doubt much discussion and debate. The title 11th Hour – Movie, Debate, Music and Food encompasses the offering. Mark Little was an award winning foreign correspondent, founded the world’s first social news agency Storyful, and was most recently Twitter's VP of media partnerships in Europe. He is currently CEO and co-founder of news experience business Neva Labs with Áine Kerr who has an impressive background in news and political journalism, she spent five years at Storyful and most recently worked with Facebook leading global journalism partnerships. Professor Larry Donnelly is a familiar voice on the airwaves, a Boston born attorney who is lecturer and director of Clinical Legal Education in the School of Law at the National University of Ireland, Galway. This event takes place in Westport Cinema this evening, Friday, at 7.30pm and costs €35. RTE’s Rick O’Shea runs the country’s biggest book club with 10,000 members and set himself a challenge two years ago to read a book a week. The man knows what he is talking about when it comes to enjoyable books. He will host an entertaining discussion on must-read books with anthologist and broadcaster Niall MacMonagle and young Castlebar-born author Sally Rooney whose debut novel Conversations with Friends burst onto the literary scene earlier this year. It has been shortlisted for the Bord Gáis Eireann Irish Book Awards. MacMonagle, who once taught Graham Norton, is a familiar voice on radio, discussing all manner of book related matters and especially things related to Jane Austen whose 200th anniversary falls this year. Bookclub members, avid readers, and anyone who wants a good steer on what to read next should make sure of their seats. Bucket List Books takes place in Westport Town Hall Theatre on Saturday night at 8.30pm and costs €15. The traditional ‘on the couch’ event takes on a new perspective this year as all participants are crime writers. Jane Casey, Paul Perry, and Sinéad Crowley are also all nominees for this year’s BGE Irish Book Awards. All three go head to head in the Irish Independent Crime Fiction Book of the Year category - Jane Casey (Let the Dead Speak ), Sinéad Crowley (One Bad Turn ), and Paul Perry, cunningly disguised as Karen Perry (Can You Keep a Secret ). Paul Perry has won numerous awards for both poetry and fiction and is Creative Writing Fellow at UCD; he writes best selling thrillers together with Karen Gillece under the penname Karen Perry. Perry is also presenting a workshop for writers at the festival. Armchair Thrillers takes place at the Clew Bay Hotel on Saturday at 3.15pm, and as always, a cuppa is included in the admission price which is €15. The Rolling Sun Book Festival welcomes Sunday Miscellany back and this time to a bigger venue, the Westport Town Hall Theatre. For almost 50 years, Sunday morning has meant Sunday Miscellany. Reportage, appreciations, memory pieces, poetry, travel writing, and personal accounts of events and happenings are all the stuff of the programme. This promises to be a magical morning of diverse readings from great writers and a varied and entertaining line-up of live music. Two ‘warnings’ come with this event – book in advance and be early or they will not let you in. It all kicks off on Sunday at 12 noon. As always the programme contains some attractive free events including a workshop on Applying for Literature Bursaries and Grants with Paul Perry at the Town Hall Theatre on Saturday morning. Also on the educational theme, anthologist, teacher, and broadcaster Niall MacMonagle presents a schools event on Friday morning. The Green Fuse Gallery is the place to be on Friday at 5pm for the opening of an exhibition called Mind Has Mountains based on a poetry collection by Geraldine Mitchell. The artists are Aoife Casby, Mags Duffy, Lisa Molina, and Jane Williams. Mitchell will read from her book Mountains for Breakfast on Saturday at 2pm in the same venue. All the information you need is on the website www.rollingsunbookfestival.com and bookings are through the Clew Bay Hotel (098 ) 28088. People were disappointed when they turned up at the door last year and could not get in to some of the events – you have been warned.